Millennium Community School (MCS), located in Columbus, Ohio, has been in service of the community since 1999. Rounding out its twentieth year of operation, MCS has striven to provide students with the best and highest-yield instructional practices, experiences, and strategies – we grow kids. 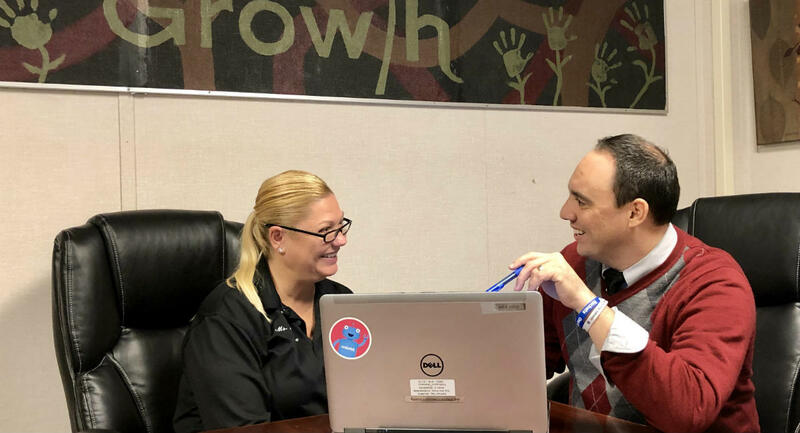 In my near six years with the school, I’ve seen first-hand how teachers and administrators both advance their knowledge and skill through year-round professional development. Each year we work to stay at the forefront of programs, products, and applications to provide an advantage, with the aim of allowing students to grow to their highest potential. Wakelet is one such collaborative technology tool. The instructional staff of MCS uses Wakelet to serve a number of professional needs. Here at MCS, Wakelet is used to capture and curate instructional strategies and practices that have been learned in professional development seminars, staff trainings, and educator conferences. For example, a team of lead teachers and academic administrators travelled to Boston in July 2018 to attend a conference on core instructional strategies, led by Dr. Harvey Silver. All staff received training in the Core Six strategies and teachers now capture evidence of these strategies at work, through photos, video clips, and student artefacts. This, in turn, provides feedback to the administration on the effectiveness of execution. Additionally, the practice of capturing applied learning in action affords teachers the opportunity to earn graduate credit toward renewing their teaching license. Evidence of daily walk-through observations can also be captured and organized in Wakelet. I make photos and video clips a regular practice when capturing the culture and climate of a teacher’s classroom. When coaching a teacher, I find it very powerful for a teacher to see the lesson from the perspective of his/her students. By taking photos or video clips of classroom practices and organizing them in Wakelet, I can create a collection for each teacher to see progress in various strategies throughout the school year. Coaching teachers in their instructional design and delivery is yet another way that Wakelet helps us streamline our processes. Teachers add to their Wakelet profiles each week, and instructional coaching often happens by way of sharing exemplars. For example, if one teacher is struggling to engage students in the topic of decimals, I can pull up photos, video clips, and student work samples that have been captured in another teacher’s Wakelet profile. From there, I can share the success of a fellow teacher and facilitate a brilliant teaching moment from one staff member to the other! Finally, Wakelet is used by the instructional team to provide evidence for evaluations. In the state of Ohio, both teacher and principal performances evaluations are heavily based on evidence. Through the use of Wakelet, teachers and administrators at MCS build their profiles in a collaborative manner. Each collection is categorized in accordance with the Ohio Department of Education’s evaluation model. Thus, Wakelet has been a true resource for our team at Millennium Community School. From professional development credit opportunities to ongoing coaching of best practices, we can tell our story of success through Wakelet.